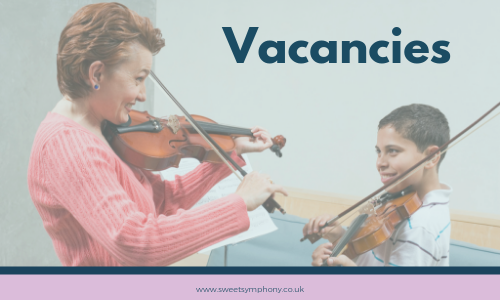 Come and work for Sweet Symphony! Our Studio is always growing, and so we’re regularly recruiting new Teachers. who share our passion for quality music education, to join our dedicated team of music Teachers. If you hold a Grade 8 (or equivalent) qualification in your instrument and are ready to join a fast-growing, friendly music Studio, we’d love to hear from you! © 2006-2019 Sweet Symphony Ltd.